“I want to bring some positive vibes back to the genre…” – Wildstylez talks albums, Project One, jetlag & talents. 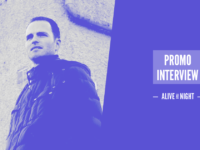 ‹ ALIVE AT NIGHT – Hard Dance Interviews, news & reviews with a twist! “I want to bring some positive vibes back to the genre…” – Wildstylez talks albums, Project One, jetlag & talents. In less than 48 hours, one of the biggest pioneers in the scene, Wildstylez will break his ‘no-album’ pact and release his first solo album “Lose Control.” With the teaser out and the world ready for a whole new front of melodic tunes, we decided to pull the man himself aside to have a little chat about his upcoming album, the legendary ‘Project One’ album, his thoughts on the scene and his experiences touring! 1. Thank you so much for chatting with me today! First of all, how’s life going for you? Life’s good! I’m pretty busy at the moment with interviews and running some other errands before the album is released, but besides that I’m good! The weather is starting to get better so I’m definitely happy about that. 2. Your album is set to be released on the 12th of June which is only a few days away! 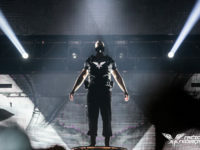 Besides the ‘Project One’ album with Headhunterz, this is your first solo album which has come as a shock to many fans. Why do you think that it has been such a surprise? Another thing I realised were a bunch of 10-12 demos that were almost finished, so I decided that I would finish them and create an album with them! To be honest, I’m not as proud as I was with the ‘Project One’ album however I’m still really satisfied with the end result and I can’t wait to release it! 3. Why aren’t you as proud as you were with the Project One album? We composed a plan and worked extremely hard for 3 months to reach the end result and it really felt like a journey for the both of us. The end result was an album that fans still appreciate today and that’s really special to me. In comparison to my upcoming album, the whole situation was different and I began the album and the concept in a very different way. With the Project One album, we both had to work extremely hard to create everything from scratch, but now I started with most of the tracks already there. Regardless of the situation, I’m still very happy with the result! 4. On the album you collaborated with pioneering name Max Enforcer, but also newcomer Demi Kanon and Audiotricz – can you tell me a little bit more about working with those guys? When music becomes your full-time job things start really to change. I mean, I’ve played at every festival I’ve wanted to play at, I’ve closed down Defqon.1 and back then for me, there was still a lot more to achieve and in the past couple of years I admit that I lost that motivation and drive. Working with Demi Kanon and Audiotricz really brought back some enthusiasm within me. The drive and eagerness that upcomers have is really refreshing and it also reminds me of what I was like a few years ago. Another thing I really enjoyed was being able to teach these guys, learning is very important in this industry. I remember when I started out I had help from The Prophet, Headhunterz and I also worked with Noisecontrollers too which really helped me a lot; I think it’s important that young guys also get the opportunity to work with somebody who’s been in the music business for a while. Audiotricz and Demi Kanon are the headliners of the future in my opinion. I haven’t seen Demi Kanon perform yet but I’m sure that if people like to see him on stage then there’s a huge future out there for him! 5. Speaking of Audiotricz, I’d like to talk about your track “Turn The Music Up.” It sparked quite some debate due to its progressive nature and even made a few fans quite angry – what do you have to say about it? The thing is, the track is at a lower BPM but it’s still hardstyle because all of the sound are there and the kick is very hardstyle oriented. It’s the first track I’ve done at that tempo and I don’t think people should really complain to be honest, I guess if they don’t like it then that’s okay! Besides that, most of the responses I received were positive and the cool thing about this track is guys like W&W and Hardwell are playing it, but people in the hardstyle scene dig it too. I think it’s a cool crossover! 6. The tracks on the album range from quite a euphoric sound to even progressive and housey tracks. Why did you choose to go this way instead of bringing back some of your older sounds? I actually did that with 1-2 tracks but basically the most important thing for me was that the album brought a positive feeling. In hardstyle, a lot of music these days is about death and hell and all that kind of stuff, I wanted to bring some positive vibes back into the genre with my music. Another main focus for the album was to take more of an ‘easy listening’ approach and to be something that you can listen to whilst at home or driving in the car and not wanting the volume too loud. I think it’s important that listeners can enjoy and listen to hardstyle on a lower volume and that’s what I want to bring. 7. With an accessible sound, are you hoping to bring in a whole new cohort of ‘non-hardstyle’ listeners into the genre? 8. Do you think the euphoric sound is going to make its comeback? I hope so! Saying that, the raw sound of today doesn’t have anything to do with what I stand for anymore and it’s pretty much impossible to program me on the same stage as the raw artists – our sounds are worlds apart! I respect all styles and there’s some raw tracks that I like, but for me the difference between my music and an extremely raw artists music feels really far apart, it’s almost like somebody programming me on a deep house stage! There’s evidently been a huge change brewing. For example, a few years ago I was closing down Defqon.1 and this year I’m playing quite early in the afternoon. I’m really curious to see how things go at Defqon.1 this year, there’s lots of people coming from abroad and outside The Netherlands people don’t really like the extremely hard hardstyle. There’s a big change going on and I have to find what my role is going to be in the hardstyle scene for the coming years. 9. So now a little bit more about your label “Lose Control.” Why did you begin it and how is it going so far? In the beginning we started it only as a platform for my music and Max Enforcer’s music and we never intended to expand it, however last year I wanted to start building the label to create more of a platform for upcomers. In terms of being a platform, at the moment I carefully choose the tracks that I want to release on the label. I release everything from Max Enforcer and besides that I’ve also released some tracks from Sound Rush, Noiseshock, Demi Kanon and Audiotricz. I want to make it a platform for the easy-going, melodic and euphoric hardstyle and I think people are starting to see Lose Control like that. 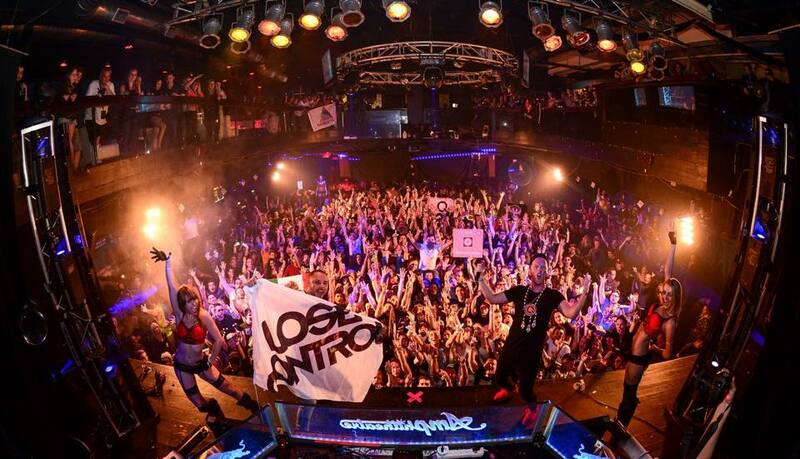 Another expansion that’s occurred within the last year was the ‘Lose Control Tour’ which was a huge success. Let’s see what the future brings! 10. When you’re listening to demo’s and looking for new talents what stands out to you the most? For me, a positive and emotional feeling plus a high quality are standouts. I want to have a certain quality of production on my label and I hope to bring some quality and positive music into the scene. 11. 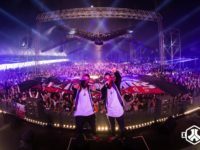 Raw hardstyle has become really big in The Netherlands and because of the shift you’ve had a lot of international bookings. How do you cope with all of the traveling? I don’t know how I cope with it… I go to sleep when I’m tired but it can be really hard when jetlag strikes. For example, when I went to Australia earlier this year I was there for a whole week before I went off to Asia and the jetlag was terrible! I was sleeping all day, waking up in the middle of the night and to add to that I also had lots of things to do back home! Constantly travelling can be stressful sometimes but overall it’s always a great experience. 12. Lots of touring calls for lots of flying! Do you like aeroplane food? 13. Speaking of traveling, you’ve had a lot of bookings in the USA and you’re undoubtedly one of the hardstyle icons out there. What is the difference when performing to an American crowd as opposed to a crowd in The Netherlands? The funny thing is that in the United States there aren’t as many people at the parties who know your music by heart. For example, when I play “Year Of Summer” in The Netherlands I can put down the volume and I’ll just know that people will sing all of the lyrics. In the USA, sometimes there’s a really big crowd and a lot of them like the music but don’t know all of the tracks. For them, the genre and its tracks are new and it’s a whole new exciting discovery period for them. I really love playing for those kinds of audiences and I get a lot of energy out of those bookings. I’d also like to think that I am winning some new fans into hardstyle! 14. How are you feeling about the huge growth of hardstyle in the USA? Where do you see it going? Everyone used to say that hardstyle in the USA was going to be the next ‘dubstep’ and well, that didn’t happen! Right now I’ve got a few bookings over there and I can see that the scene there is definitely growing. The crowd is always great but I’m not sure if it’s going to ever get that much bigger. By that I mean that hardstyle artists are probably not going to get to the status of Nicky Romero there and play five bookings per weekend. I guess we will have to wait and see! 15. One last question, what did you eat for breakfast? Um…. *thinks for a moment* I think I had a sandwich with Vlokken. It’s very Dutch and also nice and sweet! Thanks to Wildstylez for taking the time to chat to us! We wish him the very best with the release of his album “Lose Control” and we can’t wait to soak up those euphoric vibes! The release date is June 12th, however you can pre-order the album – HERE.